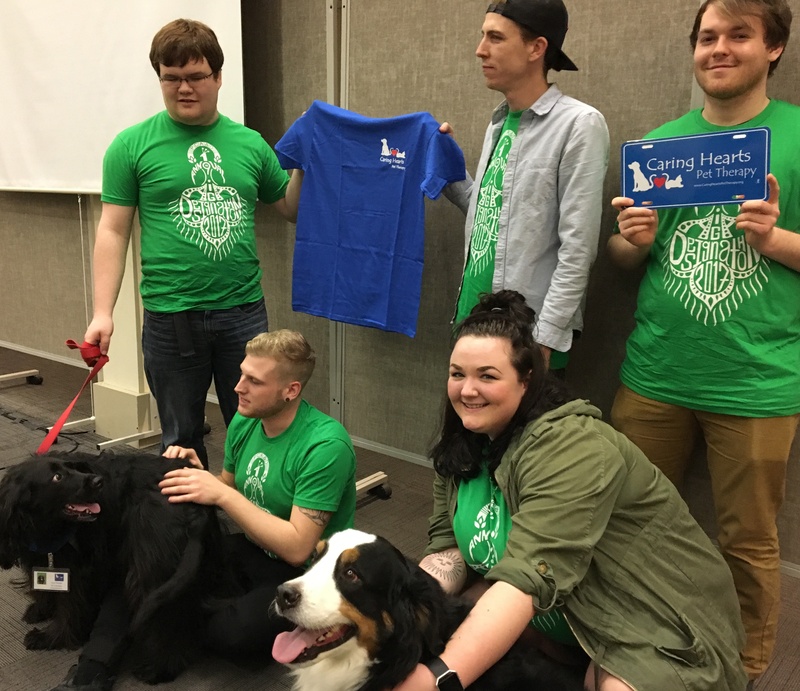 Every year for 10 years, non-profits from Central Pennsylvania have brought their needs for professional-quality design materials to Pennsylvania College of Art &Design’s American Institute of Graphic Arts Student Chapter (AIGA) for the annual Designathon. Every year, PCA&D students, aided by faculty members and PCA&D alumni (and lots of coffee), create brochures, logos, t-shirts, posters, websites and more during a 24 hour period. 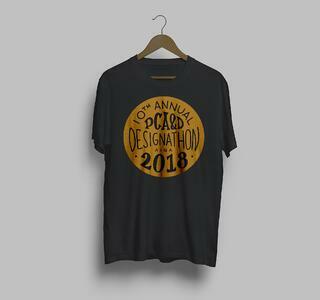 During the 10th annual event 27 Graphic Design students aided by 8 faculty members and 7 alumni will sequester themselves at PCA&D to deliver professional-quality design services at no charge to the non-profits. 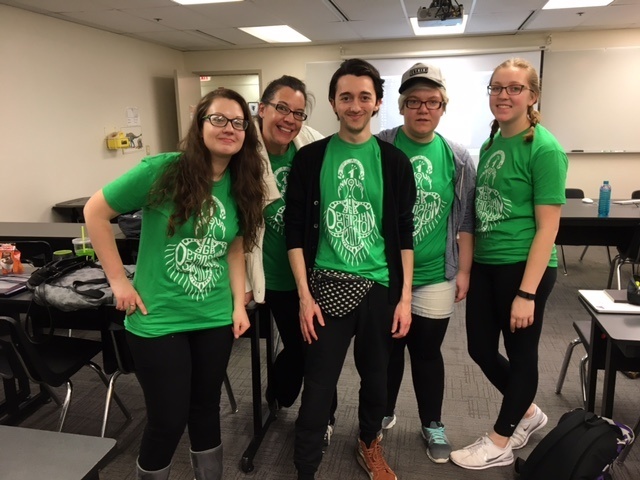 Students at PCA&D who participate in the Designathon gain real-world experience in creating projects for clients under a tight, 24-hour deadline. They learn that non-profits have very real marketing needs in order to be successful, and strong graphic design on well-organized collateral pieces are vital components in successful communications and marketing plans. More importantly, students experience the value of giving back to the community. Over the last decade PCA&D students have completed 75 design projects set forth by these non-profits during the yearly 24-hour Designathon. The Anchorage Breakfast Program, located at First United Methodist Church, Duke and Walnut Street in downtown Lancaster, serves free breakfast to over 120 people a day every Monday through Friday, 52 weeks per year to Lancaster’s low income, unsheltered, and socially-excluded populations, and to any and all who are hungry. KPets (Keystone Pet Enhanced Therapy Services) is a network of registered volunteer teams who partner with their companion animal(s) to provide comfort, encouragement and rehabilitation through human/animal interactions. Serving local communities in health-related facilities, social agencies, special-needs programs, schools, libraries, retirement communities and hospices, KPETS teams visit wherever the human/animal connection may be beneficial. KPETS services are free of charge and provides over 10,000 visits of animal assisted therapy to over 300 facilities every year. Phoenix Assistance Dogs of Central PA’s mission is to locate and train puppies to become assistance dogs for individuals living with a broad range of disabilities and who are unable to train their own assistance dogs. Highly trained assistance dogs provide greater independence in the lives of those individuals living with disabilities. PAD also assists individuals in finding and training their own assistance dogs if they desire to train their own dog. Central PA Ataxia Support Group is a support group meeting at Hershey Medical Center for patients and their families doping with Ataxia, a degenerative disease of the nervous system resulting in the loss of full control of bodily movements. Symptoms such as slurred speech, stumbling, falling, and incoordination are related to degeneration of the part of the brain, called the cerebellum, that is responsible for coordinating movement. The National Ataxia Foundation provides a variety of ways to connect with others affected by Ataxia including Support Groups and Ambassadors. Bench Mark Program (BMP) creates unique spaces where at-risk young women and men build connections with mentors, increase strength, and overcome academic and career-related challenges. By partnering with community agencies that provide intensive interventions, BMP provides a stimulating yet comfortable environment for youth to engage in physical activity and connect with positive influencers. BMP is creating a culture of mentoring that allows mentors and mentees to comfortably connect, free from oppression of pre-programmed services and plans. Jewish Family Service of Lancaster was established to be a social service agency providing a wide range of services and educational workshops in the Lancaster County community. These services and workshops enrich and support the Lancaster Jewish community and the community at large. The organization strives to improve the lives of the most vulnerable residents in Lancaster. Jewish values of justice, compassion, and respect are the driving force behind its efforts to achieve its vision and give the organization a sense of obligation to the community. Lancaster Recreation Commission (Lancaster Rec) is formed by a partnership agreement between the City of Lancaster, School District of Lancaster and Lancaster Township and provides neighborhood-based recreation and learning opportunities for all ages – with an emphasis on affordable programs for children – at schools, parks, playgrounds, and other indoor and outdoor facilities. Programs include youth and adult instructional sports programs and leagues, senior centers, fitness and wellness classes, summer playgrounds and day camps, full-day child care for infants through age 5, club activities, before and after school care, preschool education and seasonal family events. Lancaster Creative Reuse connects community excess to those who can use it creatively. Its mission is to inspire creativity, increase access to the arts through affordability, and encourage reuse. Opened in August 2010, the LCR store provides low-cost supplies, as well as an Open Craft table. Its current location at 1865 Lincoln Hwy E, Lancaster. Lancaster's Creative Reuse center offers a donation based art, craft, and sewing supply store. The organization works to connect community excess to those who can use it creatively. LCR aims to inspire creativity, and encourage reuse through providing educational and community outreach programming. Laurel Dance Company is a non-profit dance studio and performing arts group dedicated to sharing our artistic excellence with our surrounding communities in a family-friendly and family-oriented atmosphere. We strive to allow our students to develop their potential in dance and the arts through quality education of various techniques and genres of creative expression. Community Action Partnership (CAP) helps individuals and families by offering a wide variety of services that support financial stability. Each year CAP reaches nearly 30,000 low-income families through services that support child development and education, health and nutrition, household stability, and public safety and violence prevention to help them not only meet their essential daily needs, but to work toward a brighter future of long term financial self-sufficiency. For the 10th anniversary, a new logo was developed by Graphic Design Junior Cathrine Spengler. A T-Shirt for the event was designed by Graphic Design Senior Kelsey Harmon.